How can Dennis Swanberg serve you and your needs? When you need someone to motivate, encourage, inspire and entertain, you have come to the right place! Whether you are wanting to bring him live to your community, spice up your next corporate or fundraising event, inspire your men through his ManCode conference, pump up your stewardship emphasis or just have a weekend of laughter and encouragement for all the family, just listen to "The Swan" tell you how he can do just that! He is ready to be with you! Who do you need to motivate at your next event? 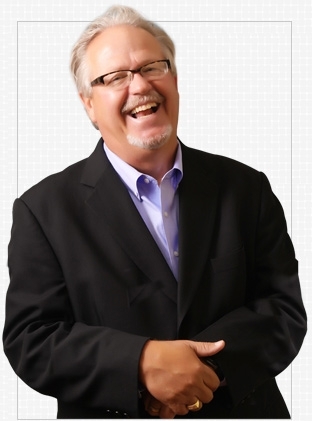 Dennis Swanberg has spoken at many types of corporate, church, and business events. He has served all different types of people and age groups and continues to soe encouragement into the lives of those he speaks to. We do well to laugh; it is good medicine. We also can share this gift of laughter and joy as an encouragement to our loved ones, pastor, boss, friends, and neighbors. Laughter can be a powerful witness to those in our community and family. We encourage you to "give the gift of laughter" and we hope you will share with others the gift of laughter and encouragement. Below are a list of events that Dennis Swanberg has spoken at. But he's not limited to just these types. Contact Swanberg Minsitries today about your need. View a full list of our friends and clients. Each year, Dr. Swanberg speaks for over 150 events including fundraising and corporate events, concerts, marriage and men’s retreats, military bases, and all types of church denominations. Don't take it from us! See what others have to say about their events with "The Swan"! "Dennis has been planting shade trees all over the world for decades. Recently he encouraged our members to dream and plant shade trees at First Baptist and a few months later those “trees” produced over $135 million in fruit for the Kingdom of God!" "Dennis Swanberg was wonderful. He is always a joy to hear. During the hard times it is great to hear people laugh and really enjoy being at a fundraising. I would recommend Dr. Swanberg to anyone who wants to encourage and uplift their donors." "'The Swan' is a tremendously talented guy, a great friend of everyone at the Fellowship of Christian Athletes, and always the first entertainer we try to book for any of our special national or regional events." "His humor is side-splitting hilarious. His impressions of Hollywood stars and politicians are spot-on. And always, his closing message is very appropriate for his audience and also very memorable. Dennis is quite simply the best!"